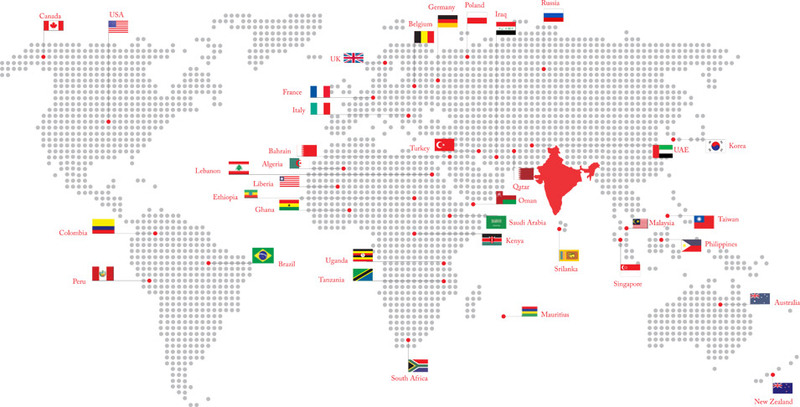 Asian Granito India Ltd exports spread across an ever growing network of more than 58 countries. Treading along the global pathway, (AGL) is the first ever Indian tile company to launch the largest showroom in Johannesburg, South Africa. AGL has received Award and Certificate of Merit for export of year 2012-13. AGL has spread its wings ahead to deliver its best product globally.